Speaking to investors, Electronic Arts have confirmed that Bioware’s Mass Effect: Andromeda will miss its initially announced release window of Holiday 2016 and slip into the wiles of Q1 calendar 2017. Why the calendar clarification? Because EA are calling it Q4 – in their financial year, which runs April to March. Nothing confusing about any of this at all, I assure you. The Mass Effect series features in our picks for the best RPGs. As EG pointed out, a Q4 financial year release usually means pushing it out as close to the end of March as possible to keep developers squashing bugs as long as they can while still getting that cash burst into that year’s books. 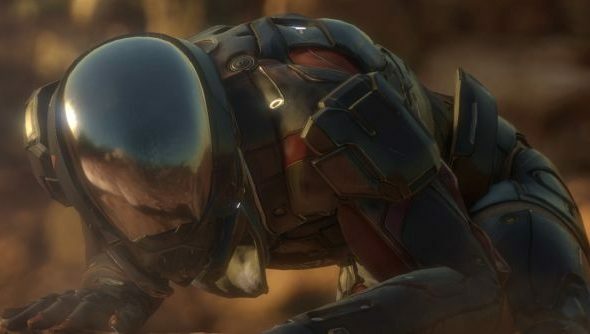 Mid-March is now your most likely release date for Mass Effect: Andromeda. This is also one of the first times we’ve heard EA talk about Titanfall 2 being this year (and inevitably an E3 ‘surprise’), as well as confirmation of a new Battlefield on the way.